I’m home playing with my new laptop. The laptop is blasting The Notorious B.I.G. which is relaxing me. Don’t hate. Somehow explicit rap lyrics have become my relaxation drug. The past few days have been beyond hectic and busy. I’ve had a “high” and weirdly enough a very deep “low” as well. The high was somehow persuading my extremely budget-conscious boss that he should buy me a laptop. I’ve replayed my “persuasive logic” over and over and still have not figured out what made him say yes. 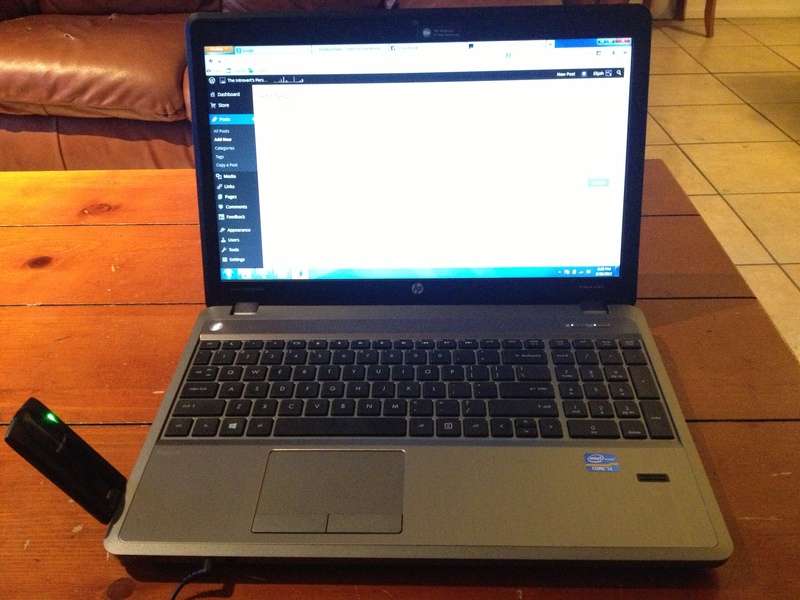 So now I’m the proud owner of a HP ProBook. Granted it will help me work whether I’m visiting my projects, waiting for class to start, or sitting at home. I just hope he’s saw all my hard work the past couple of months and decided that he would boost my morale. However, buying me a laptop might have been slightly premature. Last Friday, I almost thought my job was in jeopardy as I received the worst tongue-lashing ever given by the company president. The knowledge of that “conversation” has rippled through the entire company simply because the closed-door meeting was heard throughout the office. I deserved the trouble. I had made a decision on my project that had created a backlash. A backlash that could have been avoided with a little flexibility and long-term perspective instead of seeing the situation with the lens of the present. I’m taking it as an occasion to learn. My promotion to project management came at 19, and the president told me then that the promotion meant he trusted me to speak and act on behalf of the company. I represent the company and that means part of my responsibility is to represent the company extremely well. The flip-side is that any call I make could also have a negative reaction. Well, as you might logically conclude, I made a mistake. And as we all know, the saying goes “with great power comes great responsibility”. That saying is accurate for me excluding the great power part. As a boy, I was often on the receiving end of trouble. I was always too curious, too “smart” (my unsubstantiated opinion), and too interested in finding my boundaries. Trouble became a part of my daily routine. As I grew older, I realized that Trouble was best left alone, and that learning the hard way was option B in life. For all the trouble I got into, I only really learned my lesson when I respected the person administrating the reproof. If I respected the person, then I trusted that their advice would work and that the reproof was well-deserved. So I took the president’s scathing rebuke and promised myself to become better. The down side is that I completely brush off any criticism from those I don’t respect or trust. It’s a character flaw of mine. I’m too prideful to take advice from them. But maybe I need to change. To be more honest, I do need to change. It’s easy for me to hate criticism because that means that I’m not as good or as mistake-free as I want to be. It means that improvement is required, and improvement takes consistent effort. I can learn to interpret all criticism as constructive criticism. No matter the spirit it was given with or who the messenger was, there is always something that I can learn and improve upon. That is my goal for today, tomorrow, and from now on. Take all criticism and become better.